The Supreme Court had in October 23 allowed the public to burst firecrackers from 8 pm to 10 pm only on Diwali and other festivals. The Supreme Court on Tuesday said that it will hear in January a plea seeking steps to curb pollution in the Delhi-National Capital Region caused by the burning of stubble in Punjab and Haryana. 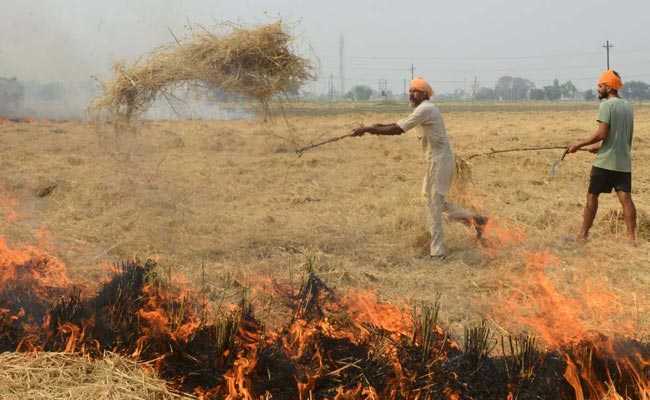 A bench, comprising justices AK Sikri, Ashok Bhushan and S Abdul Nazeer, said that it is fixing the issue of stubble burning for a final hearing in the second week of January, and asked the Ministry of Forests and Environment, Haryana and Punjab, to file their response on the plea before the court by then. The top court said that all pending applications, including those about fire crackers manufacturers, and compliance report of states with regard to use of green crackers, will be taken up for hearing next month. The Supreme Court had said on October 23 that people in the country can burst firecrackers from 8 pm to 10 pm only on Diwali and other festivals, and allowed the manufacture and sale of just "green crackers" which have low emission of light, sound and harmful chemicals. It had also said the issue of pollution through stubble burning would be dealt with separately. The court had carved out an exception for Christmas and the New Year's Eve, saying that crackers for these occasions would be burst between 11:55 pm and 12:30 am, since these celebrations start at midnight. It had, however, allowed the firecrackers already produced to be sold in other parts of the country for Diwali this year, and other festivals and occasions including weddings. For Gurpurab, the court had later allowed fireworks to be carried out for one hour each in the morning between 4 am and 5 am, and in the evening between 9 pm and 10 pm. The court had also banned the manufacture, sale and use of joined firecrackers (series crackers) saying that they cause "huge air, noise and solid waste problems". It had said the noise and smoke emission limits of the crackers will have to be approved by the Petroleum and Explosive Safety Organisation (PESO), under the Ministry of Commerce and Industry. To curb pollution in the Delhi-NCR, the court had directed the Centre, the Delhi government and state governments of the NCR to permit community fire-cracking (for Diwali and other festivals) wherever it could be done. It had said that as directed earlier, the fire crackers generating noise level exceeding 125 dB (AI) of 145 dB (C) at a distance of four metres from the point of bursting will be banned. The court had said that those crackers which have already been produced and do not fulfill the permissible conditions "will not be allowed to be sold in Delhi and NCR".